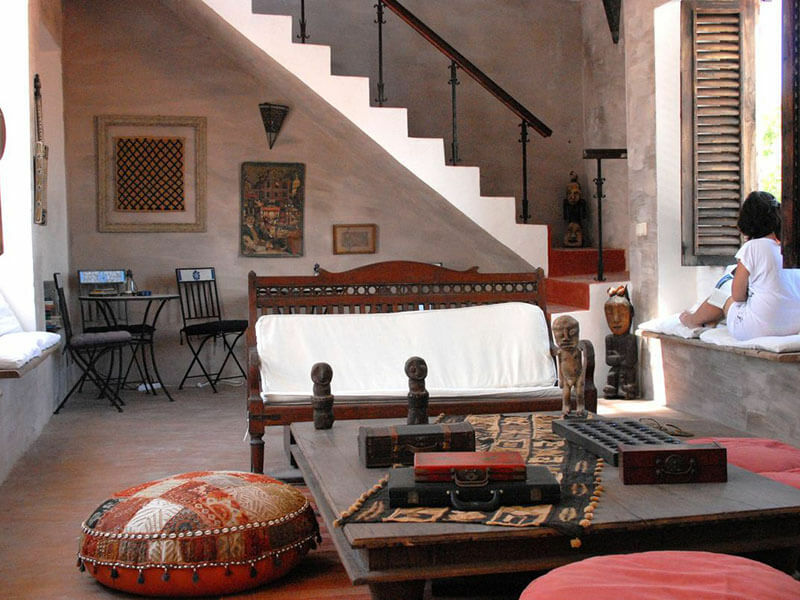 The house of Terraco das Quitandas is more than 300 years old, located in the heart of Ilha de Mozambique’s Stone Town. 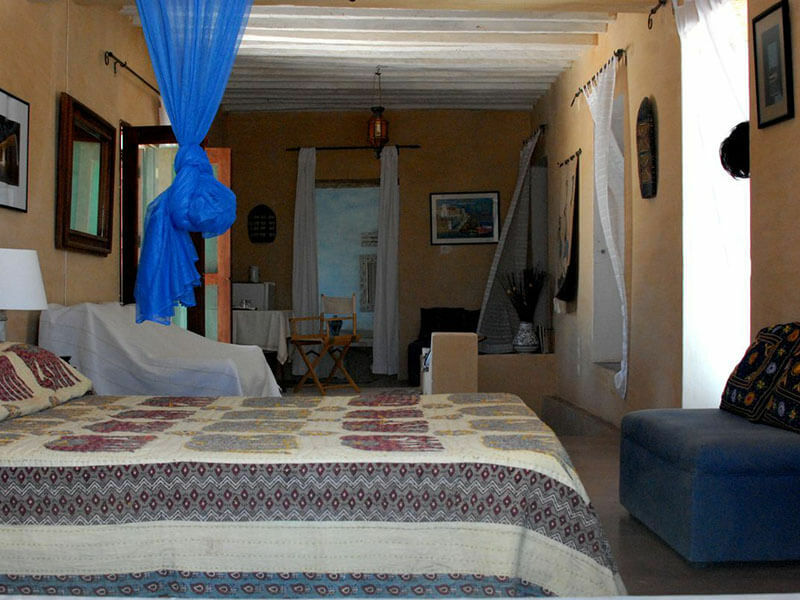 Travel to Ilha de Mozambique should include a stay at Terraco Das Quitandas off the coast of Nacala Province. 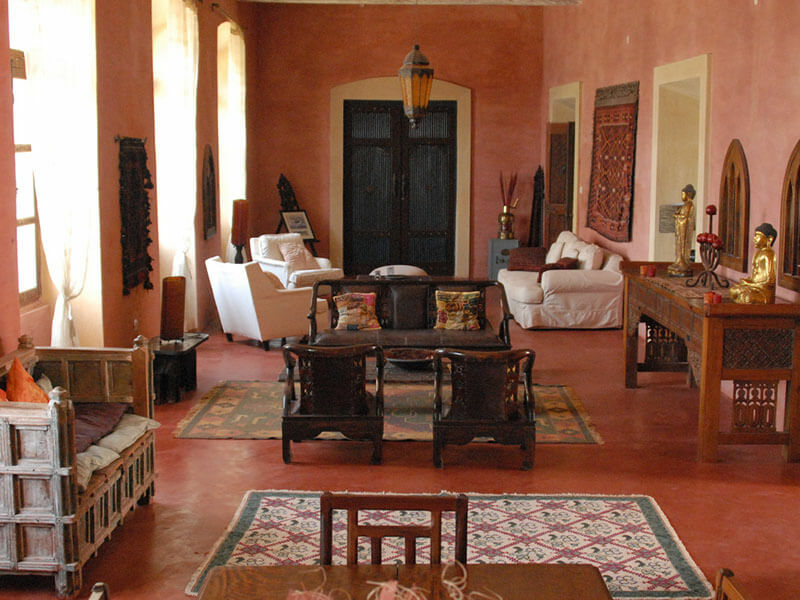 This is one of many gracious old colonial buildings dating back to a rich past of Portuguese, African and Arab influences. 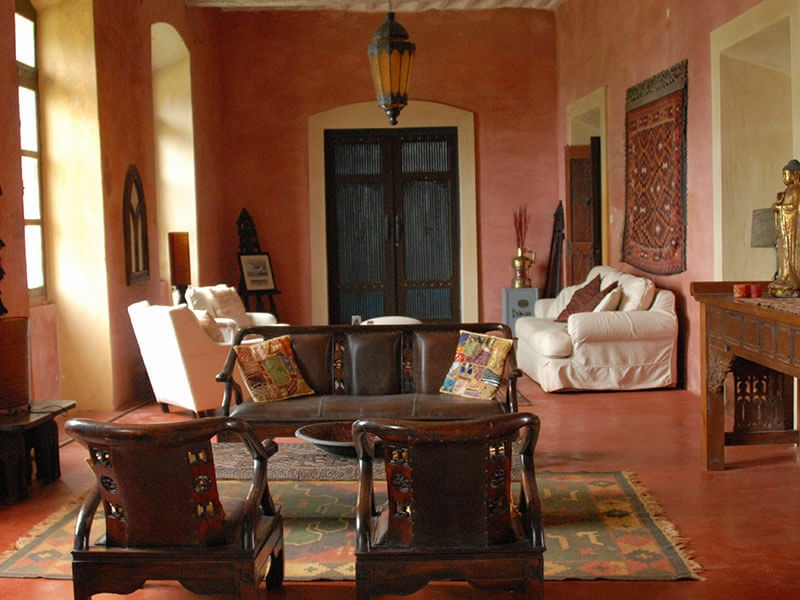 Once home too many different merchants and traders, followed by Portuguese rulers, this small Mozambique Boutique Hotel oozes with history and tourists will love its authenticity. 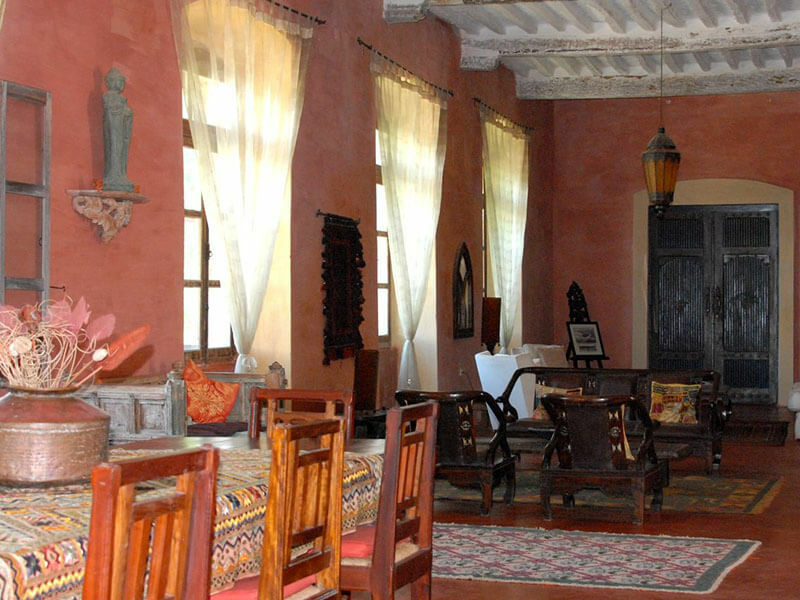 An awesome collection of antique furniture from places like Mali, India, China and of course Mozambique suits the museum ambience of the main areas. 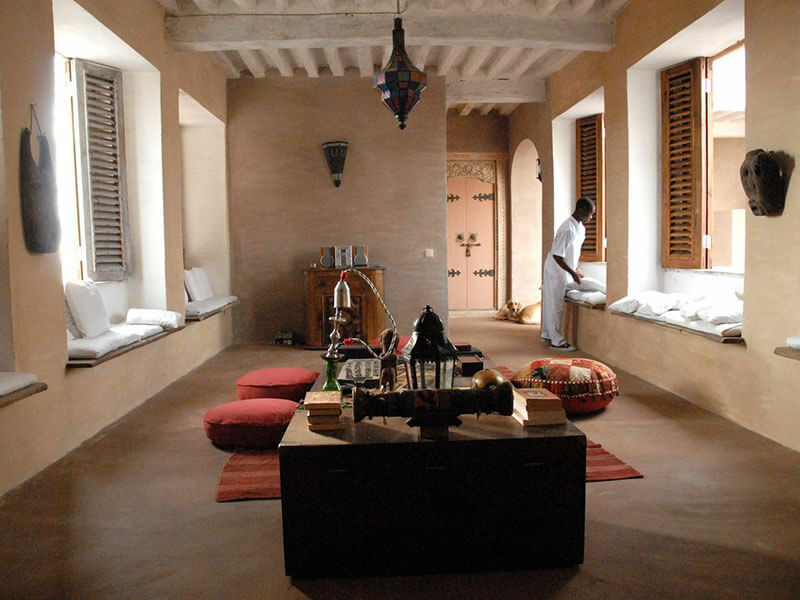 Here, a communal reading and games room, recreation rooms, two patios, an honesty bar, enclosed courtyard, roof terrace and garden keep guests relaxed. 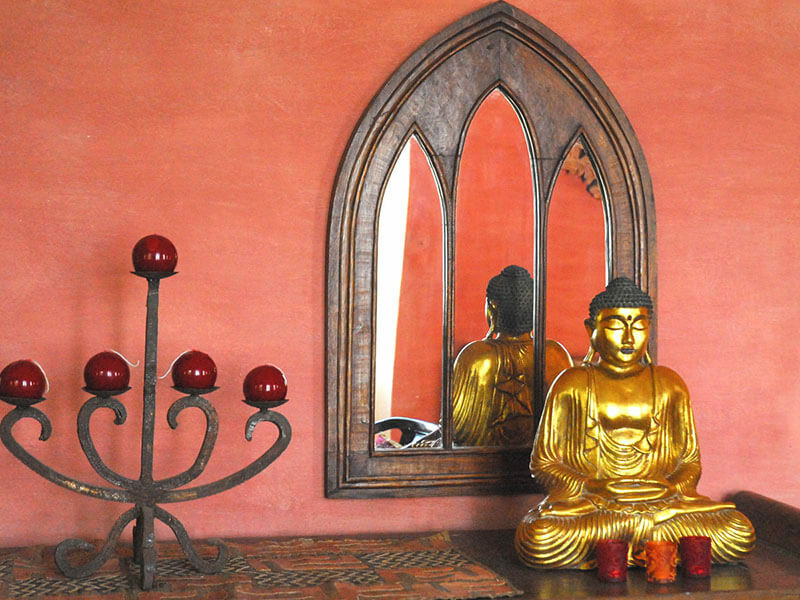 Cool interiors, thick white walls and polished stone floors and arched doorways create an incredible atmosphere! 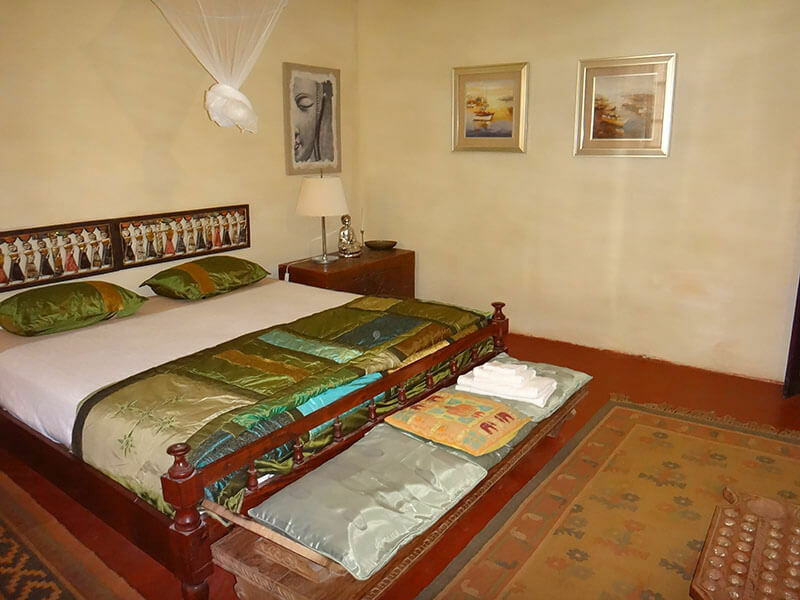 There are only six elegant air-conditioned bedrooms, and each is individually decorated with king size beds, private bathrooms and plenty of space. 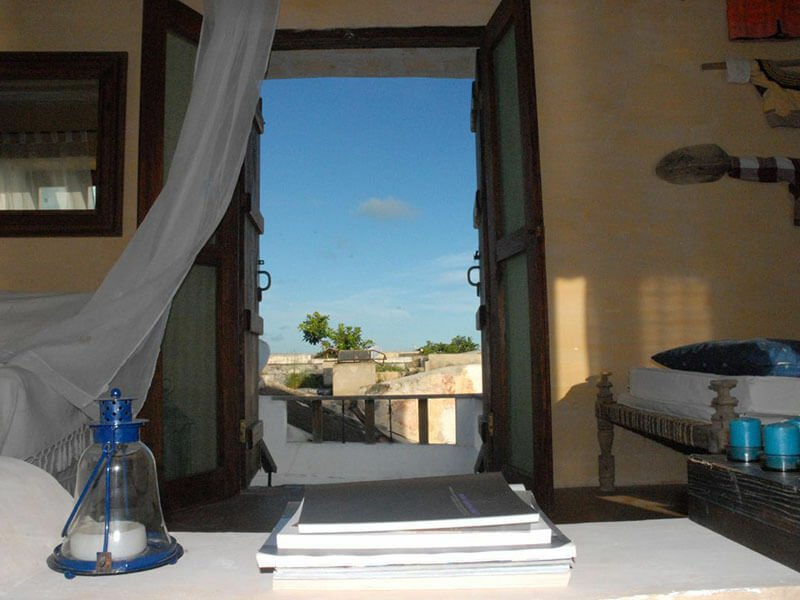 Furnished in the overall antique, Arab-colonial style, two suites downstairs and three on the first floor are opulently decorated while the last one on the second floor is smaller and similar to an attic room with direct access to the roof terrace. 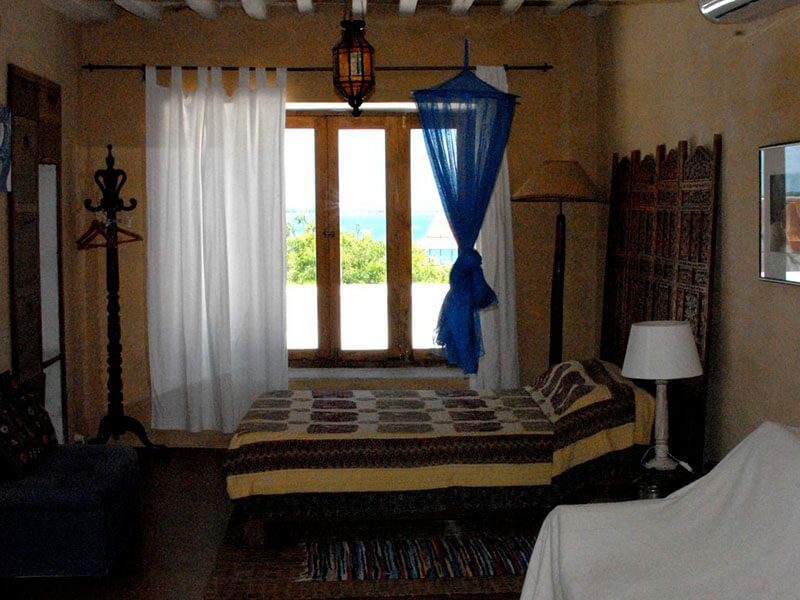 Terraço das Quitandas is conveniently located towards the north of Ilha do Moçambique, right by the main square and the Vasco da Gama statue. This makes it a great base from which to explore the main sights or stroll to the southern end of the island to see the local community’s reed-and-thatch town – watch boat-builders at work and local fisherman bringing in their daily catch. 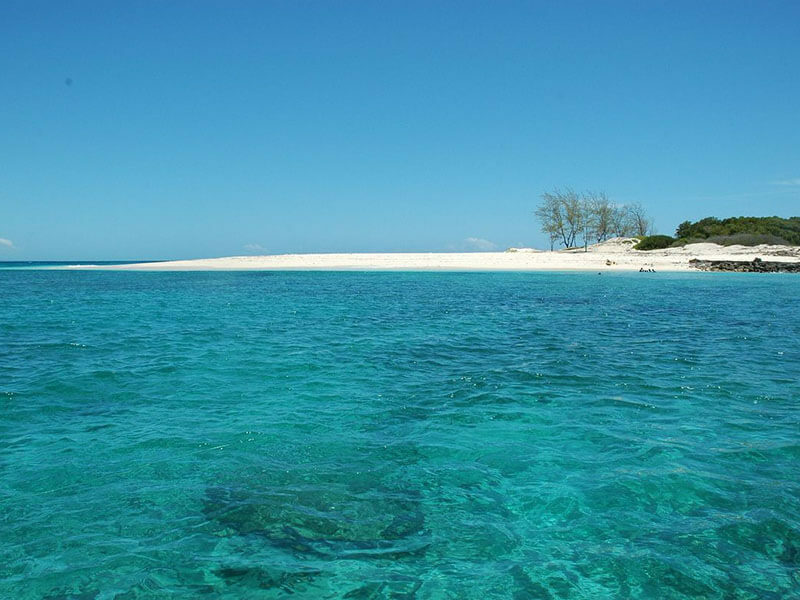 Ilha do Moçambique is a two-hour drive from Nampula Airport on good tarmac roads, and across a 3km causeway. 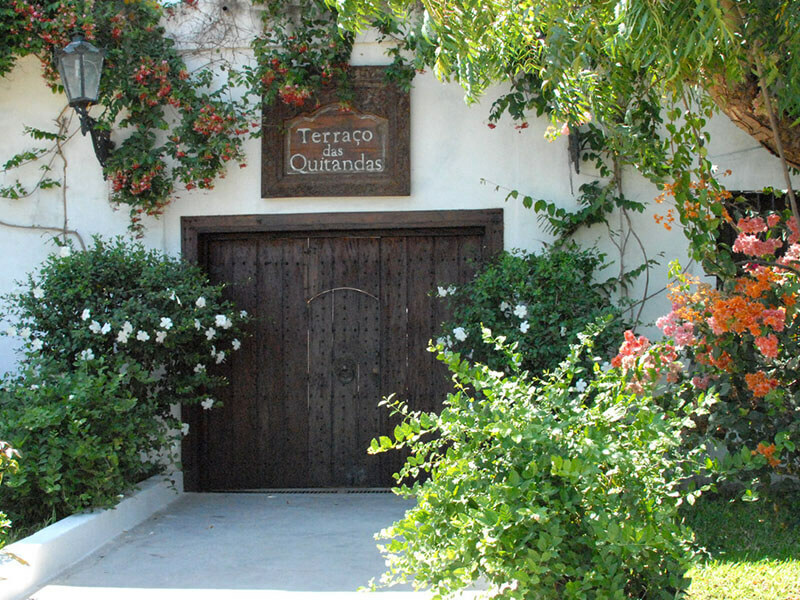 Once you are on the island, Terraço das Quitandas is just a short five-minute drive to the north.